I would long ago have smashed by computer, at least to pay mouse or keyboard! Let me fix you I. Thank You m8.. 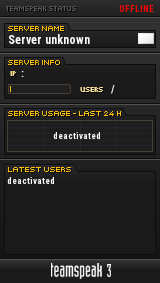 I don0t know what to do.. damn..
Have you installed some other games that are using punkbuster as well? Well I have only apdate the puk buster for AA proving ground, but after having this problem. I think it's time to stop playing this game, I can't fix it.. I tried everything. It remains only the reinstall of windows. 2 - Run as Admin(Right click in the file, click in Run as Administrator), Select: Un-Install/Remove PunkBuster Services. 4- Run this tool again (Right click in the file, click in Run as Administrator) and select: Install/Re-Install PunkBuster Services. Thank You Possesed, I tried, but that didn't work. I will reboot Windows as soon as possible. See you and thanks for the help! Thank You So much Possesed, this tool helped me a lot!